Swatch images are previews of child (variant) SKUs in product groups. Learn how to set and use swatch images in Zentail. Swatch images are available for Amazon, Walmart, and BigCommerce. 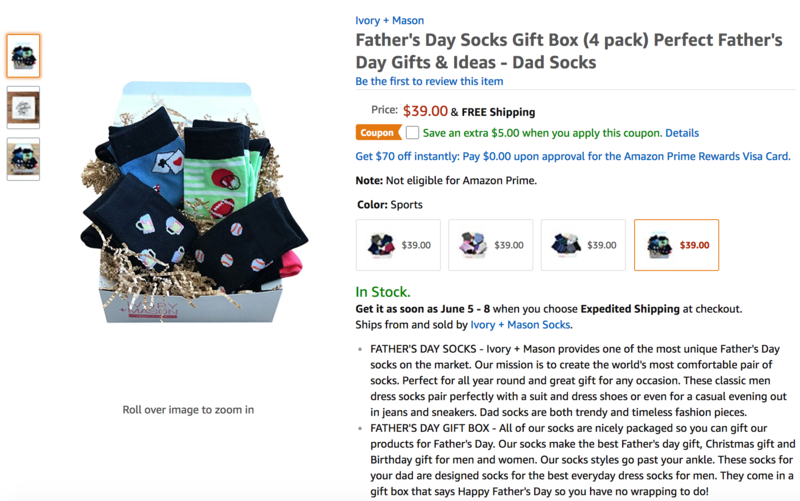 Users can explicitly choose whether or not to display swatch images for Walmart and BigCommerce while Amazon ultimately determines if a listing will display swatch images or a text-based dropdown. This is an optional step- if you did not upload a specific Swatch Image URL, Zentail automatically resizes the primary image for your products and uses that image where necessary. If you do want to use an image other than your primary image for the product, you have the option of uploading your own Swatch Image URL into Zentail. Zentail will then store and host this image and use it instead of the primary image wherever necessary! Right now, you must have your Swatch image in URL form to load into Zentail. You can accomplish this by hosting the image on Dropbox, box, google drive, or some other publically accessible space. You can then import or enter the Swatch Image URL in Zentail. Repeat for other products in the group. You can also set up a QuickEdit view to easily enter this field for each SKU in a group! Amazon controls how it displays the variation options (swatch images vs text drop down). This is based on the category and the variation theme. Most often, color is displayed as a swatch image. However, we have seen instances where this changes to a text drop down when the number of variations exceeds a certain number. It is not explicitly defined anywhere what this number of variations is. The key takeaway here is that Zentail does not determine if listings are displayed with swatch images or not on Amazon. Amazon determines that. Choose an attribute from the drop-down menu to set as your Swatch Image Variant Attribute (we suggest "Color" for most cases). If you do not want to use swatches, select "None." Click Save. 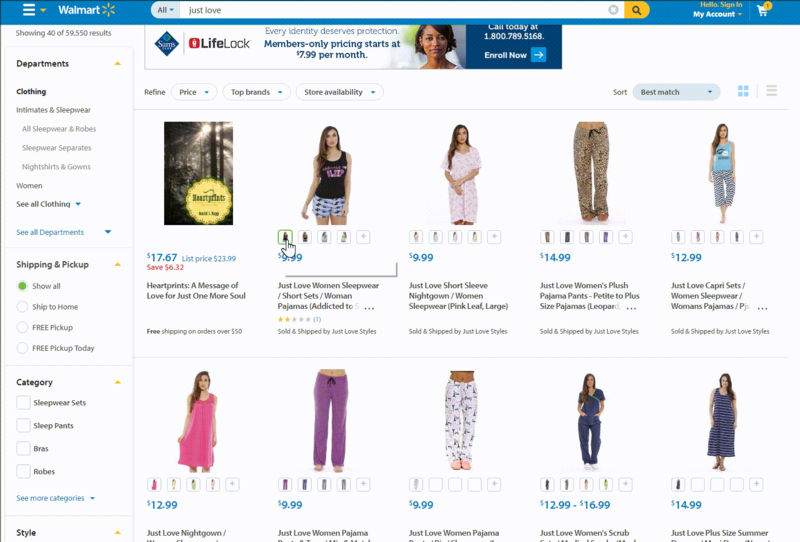 Please note that the Swatch Image Variant Attribute setting applies to both BigCommerce and Walmart. Repeat these steps for each product group that you want/don't want to have swatches. *You can also set this in bulk using the Import / Export tool. Make sure to edit the Group Swatch Image Attribute attribute. 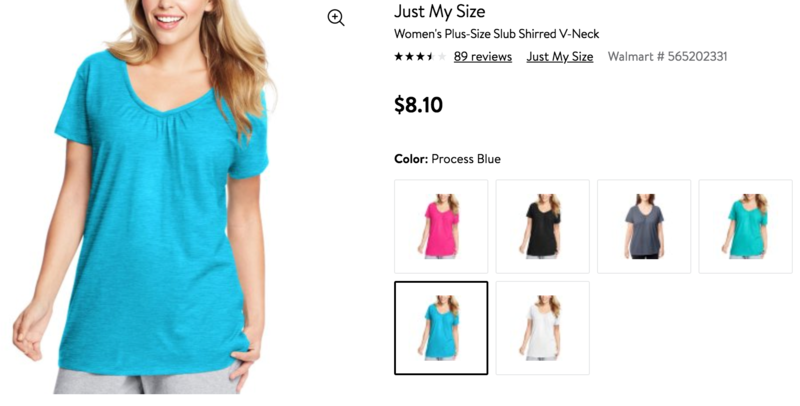 The product group below uses "Color" as the Swatch Image, and this is how it appears on BigCommerce as you hover over the different color options. In the listing above, you'll notice that Color now has swatches but Size is displayed as a select box. This example shows how you can use swatches for one attribute but display another attribute, such as Size, using a different format. 3. Under "Variation Option Type," select a format.